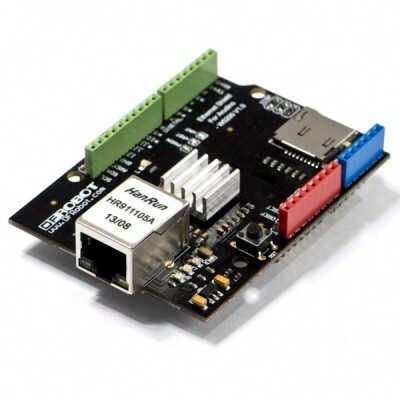 This Arduino-sized Ethernet Shield is based on the Wiznet W5200 Ethernet Chip, and provides an easy way of getting your Arduino online. 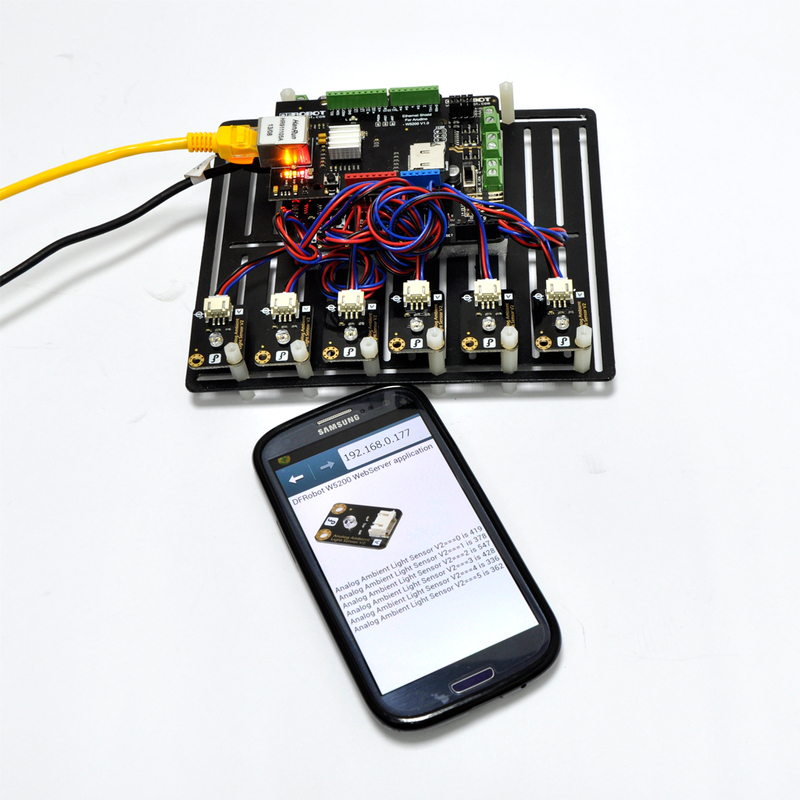 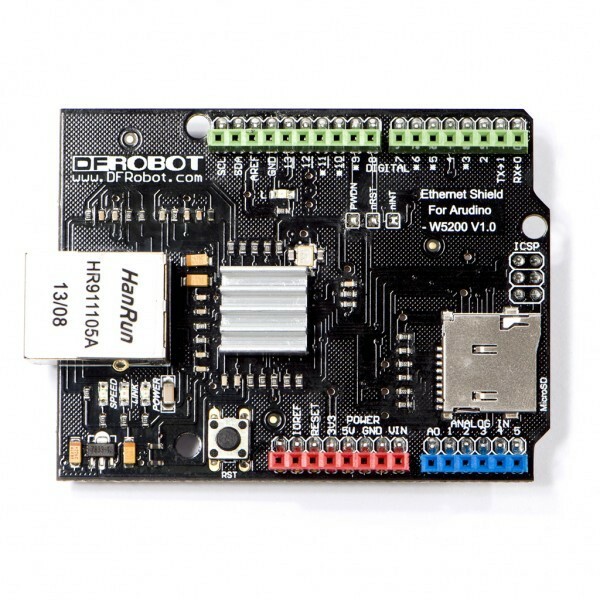 Directly supported by Arduino official Ethernet Library. 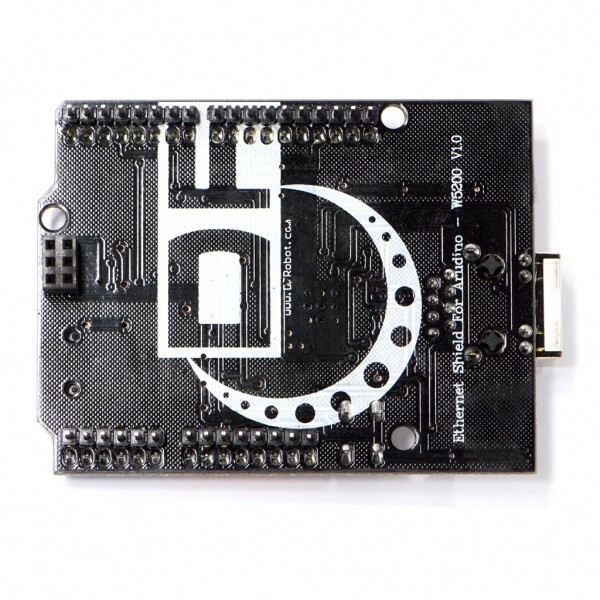 Add-on micro-SD card slot, which can be used to store files and accessed via the SD Library. 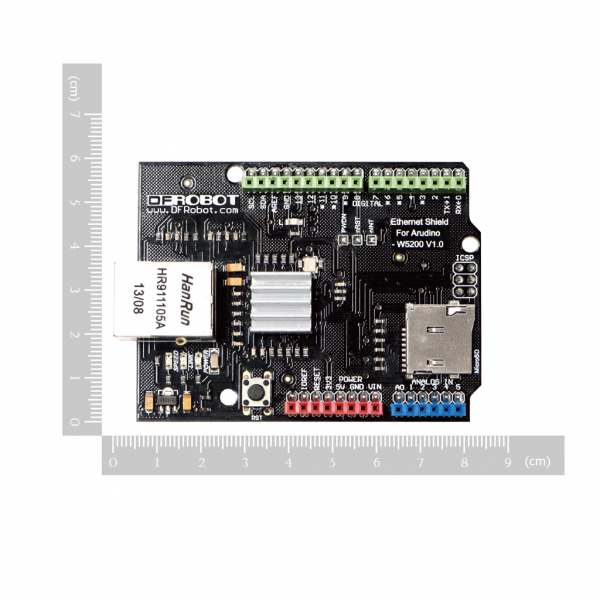 Compatible with the Arduino Uno as well as Mega (2560). The Wiznet W5200 provides a network (IP) stack capable of both TCP and UDP.